- Feast Day: August 23rd. This 31" statue of St. Rose of Lima depicts her in the Dominican habit and the crown of flowers she wore over her penitential band of sharp metal spikes. She has a beautiful, child-like hand painted face and fine details such as painted fingernails and eyelashes. She also holds a large crucifix. All our statues are handmade in the USA and made to order. Please allow 5-10 weeks for us to finish and ship your beautiful statue. 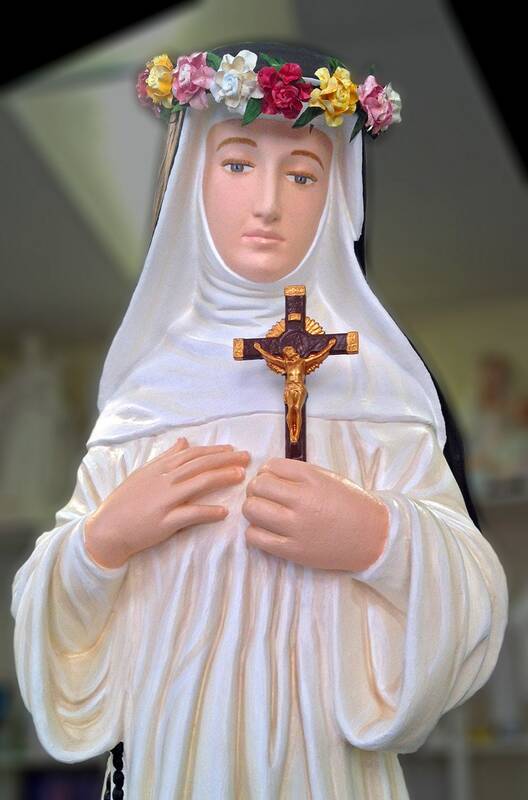 We will also touch a 1st class relic of St. Rose of Lima to your statue.